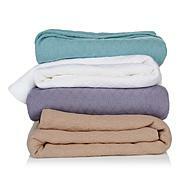 Whether you're out for an evening in the park or traveling cross-country, this throw is just the cozy thing you need. 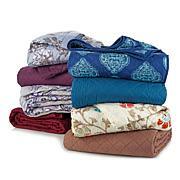 The lightweight plush material will keep you warm without weighing you down. Use it all year long, and discover your softer side. 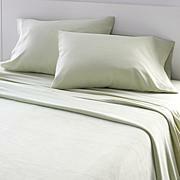 This is a great throw that is very plush like described. I got the butterfly one and its beautiful. Not too heavy or too light weight. I want to get the bunny one and one other one. 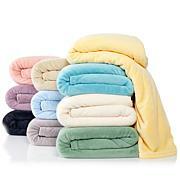 Highly recommend this soft throw. Great size. Just big enough. Very soft and fluffy and warm. Love the color choices. I got the Daisy and Animal prints. 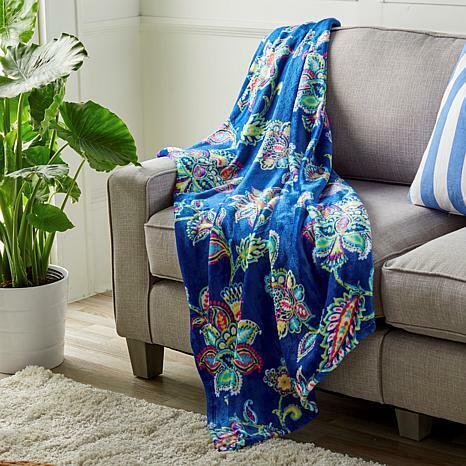 The colors in the Butterfly throw are vibrant, the pattern is beautiful, it's so comfortably soft, and the weight is perfect for Florida. I'm very pleased with this purchase. Very colorful and very warm. I like them very much. They are very pretty and look good on the bed.